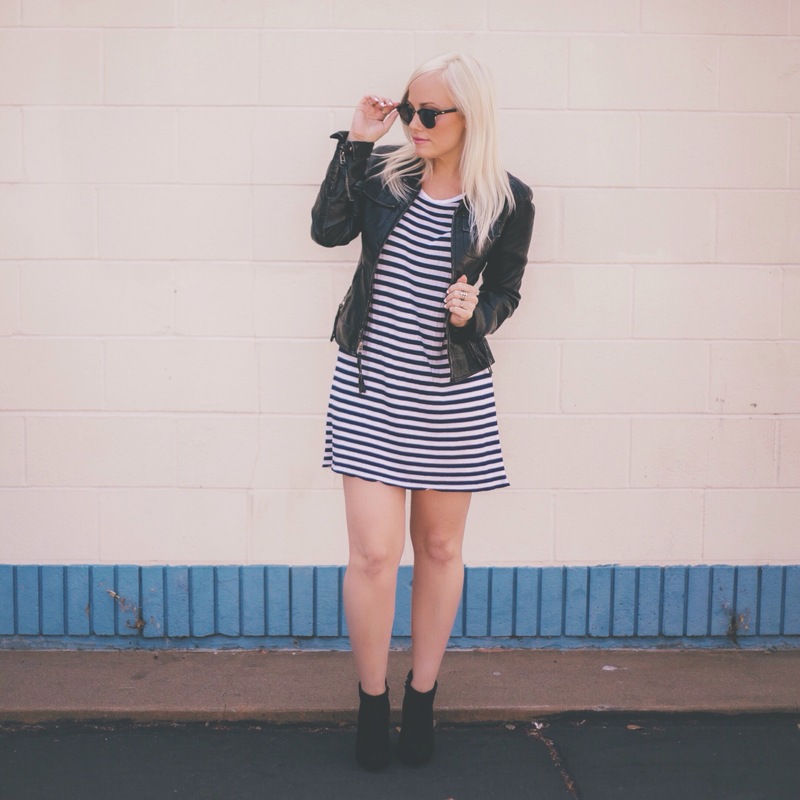 T- Shirt dresses are a perfect item to add to your summer wardrobe! 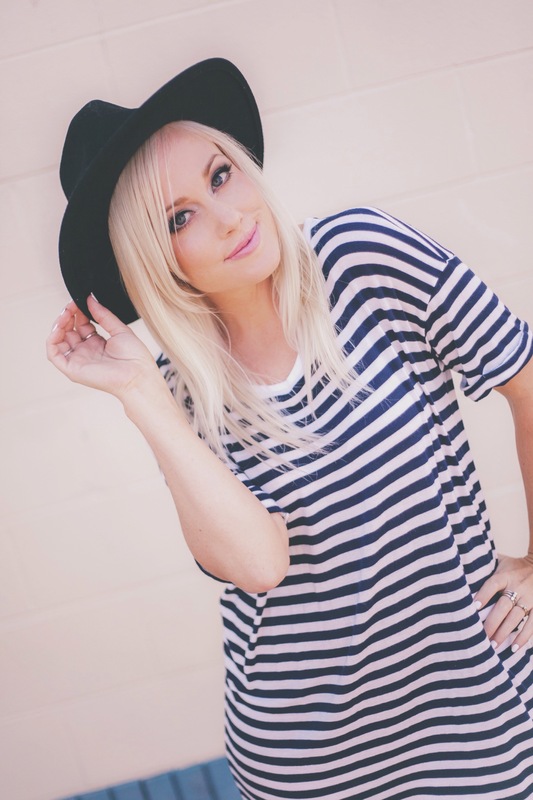 There are many different ways to style them, but here are a few of my favorite ways to wear them. C A S U A L Pick out your favorite flannel and tie it around your waist and use it as a light sweater to stay cozy and comfortable. 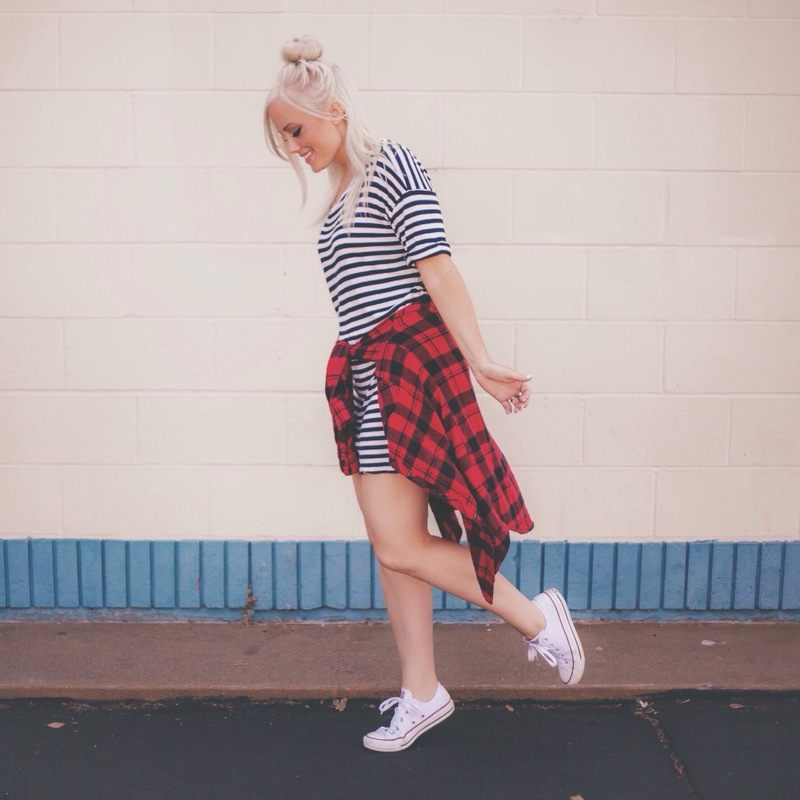 Throw your hair up in a half-up bun and put some Converse sneakers on and your out the door! I love that the stripes are dark blue and far away they look black and white. 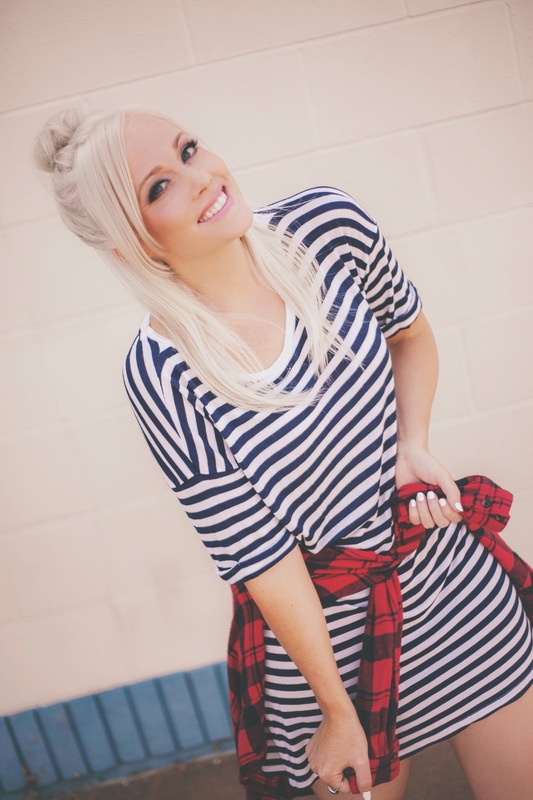 This particular t-shirt dress tunic is from Forever 21, but you can find them at many different stores around and online. 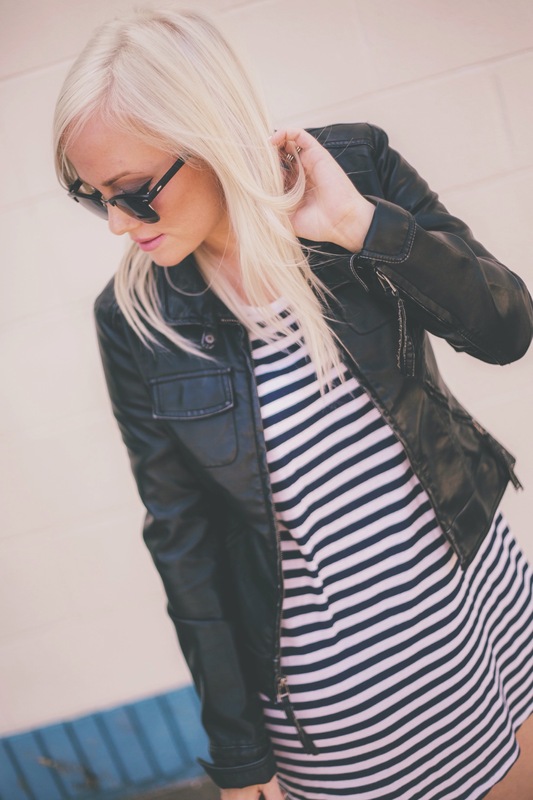 C H I C Another way to style your tshirt dress is by grabbing your favorite pair of black booties and adding a black fitted faux leather jacket. 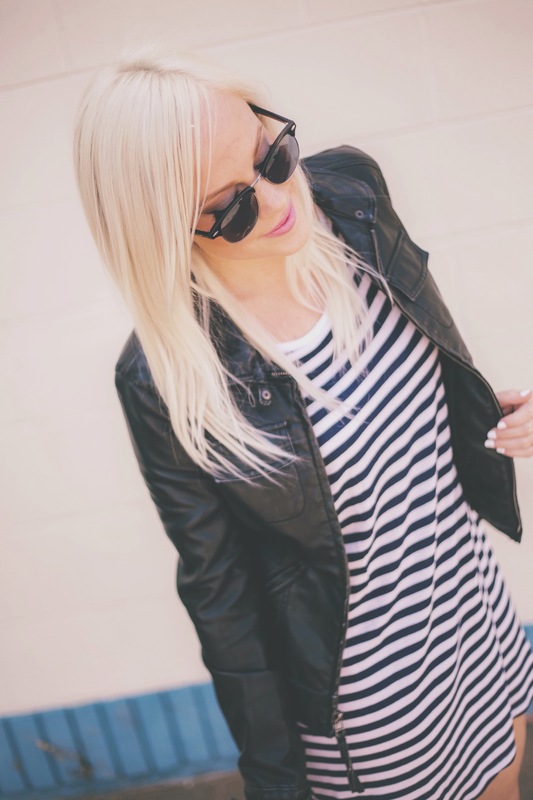 Style your hair sleek and straight and put on some sunnies to complete this more classic and chic look. 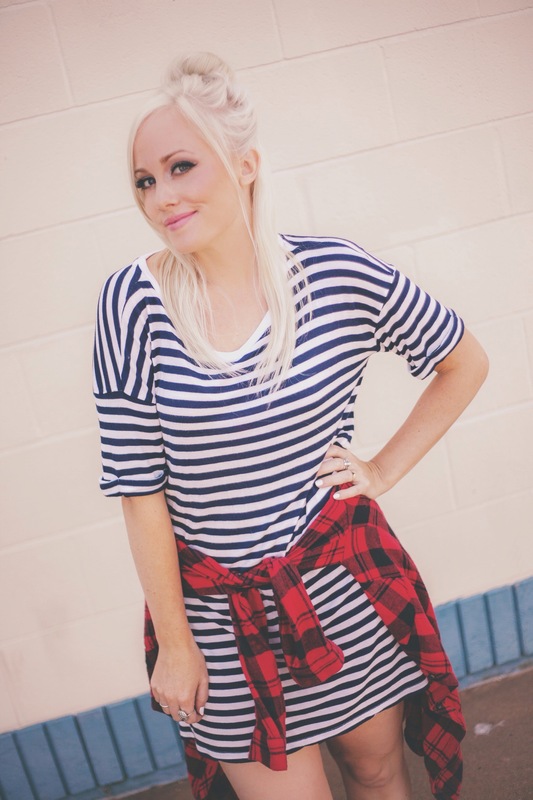 PS- I’m sure you noticed already, I went back to platinum hair and loving it! I’ll be doing another post soon on hair products that I’ve been using. M I N I M A L Sometimes all you need to add is a hat! This is my go-to when I want to add just a little more interest and style to an outfit. This hat is an old one from H&M, but you can find a similar one at Forever 21. These Dollhouse heels I got recently from Tillys during a shoe sale and spent just $13 on them. I love the wooden heel and the fact that they go with so many outfits in my closet. If you don’t have a t-shirt dress yet, get one! They’re super comfortable and easy to style. Have fun and be inspired this Summer!